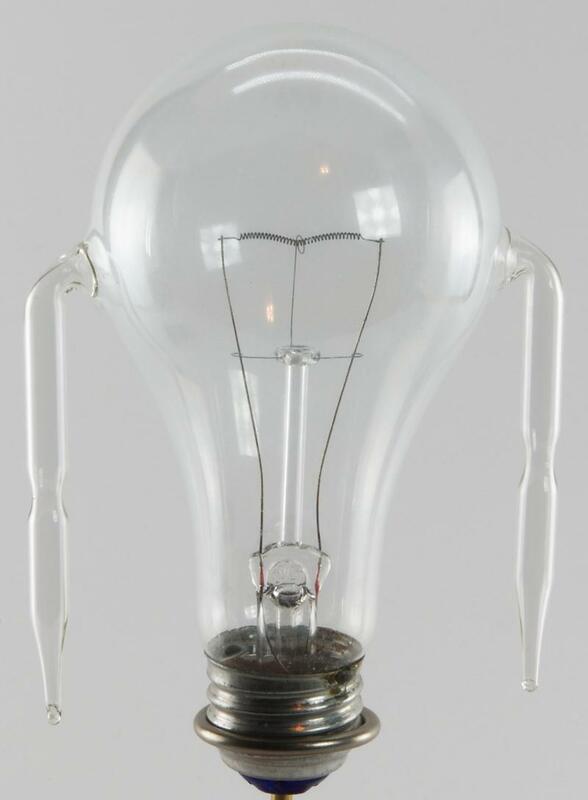 100W Westinghouse light bulb with two parallel "arms"
Lampe à incandescence avec deux "bras"
This appears to be a typical clear Westinghouse bulb, but with attached, almost perfectly parallel "arms". They were found in a box containing 3 identical bulbs. Exterior print was faded, but one can make out "Union Carbide Corporation, ( ? ) Division"; also numerals, as close as I can decipher of "158810. Qnty 3".